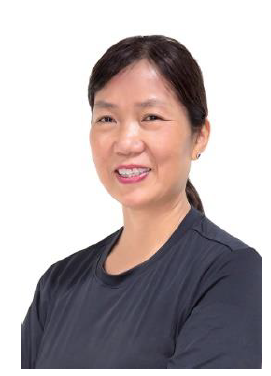 My name is Lily Yip and it is my honor to run for the At-Large Board Director of the USATT. I grew up in China and became a professional table tennis player at the age of 15. I graduated from the Physical Education College in Guangzhou City. I immigrated to the United States, became a citizen and represented the USA as a player, participating in 2 Olympic Games, 3 Pan American Games and 7 World Championships. As a coach, I have been awarded the USATT Coach of the Year 4 times and was Youth Olympic Games Coach in 2010 and 2014 when the USA won its first ever Olympic Table Tennis medal. In 2010, my husband Barry Dattel and I opened our own club, The Lily Yip Table Tennis Center. I innovated and created many special services including coaching beginners, after-school programs, senior citizen programs as well as competitive leagues and tournaments. In addition, I instituted community outreach program to assist the underprivileged. and take this organization to the next level. The following are my campaign promises and goals. *By reaching out to parents in community and providing them the information, we can bring more cadet and juniors to aspire to table tennis excellence … I will be that advocate to develop our Olympic hopeful. *By implementing policies to bring more opportunities to women insuring that they have equal access to the sport of table tennis through community outreach and program. *By focusing on greatest diversity, as table tennis is a sport for everyone. I plan to reach out to recreational players, school children, youth organizations as well as college and universities. *By encouraging senior citizens, the physically and mentally challenged and those suffering from chronic health problems, particularly Alzheimer’s and Parkinson’s Disease, for both their social and rehabilitative needs. We need to encourage all people to WANT to be a part of the USATT community. COMMIT TO ROBUST FUNDRAISING: I will revitalize USATT fundraising and make it a priority. I would like to provide consultation to USA Table Tennis staff with ideas for fundraising events to help with our national team programs. I have shown in the past my commitment to fundraising, having brought in funding for the US National Team to cover their full preparation training for the World Championships in both Shanghai and Suzhou and also for the Olympic Team ahead of the Rio Olympic Games. PROMOTE PROFESSIONALISM AND CAREER PATHWAY: I will work passionately to increase professionalism in our sport. We need more professional players, coaches and promoters, while increasing their financial rewards. I will foster opportunities for College Table Tennis players, Para Athletes and our aspiring national team players to pursue table tennis as a professional career option. DELIVER IMPROVED SERVICES TO CLUBS: I will make club development a priority consulting with all our clubs nationwide to encourage growth and public awareness of our sport. Clubs are the foundation of promoting table tennis growth and popularity. I will share my knowledge/expertise freely with all our affiliated USATT clubs. In closing, I ask for your all-important vote as I hope to represent you. Together we can continue and expand the growth of USATT. We can make a difference in the world through the beautiful sport of table tennis.